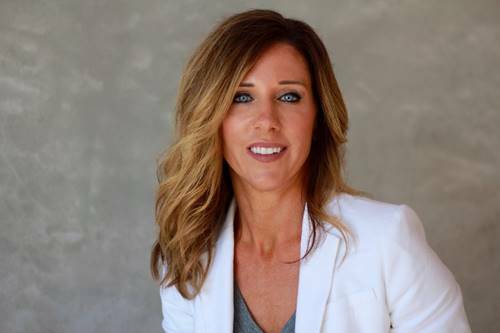 San Diego, CA- Beta Wealth Group, a leading San Diego based wealth management firm, announced today that its founder and CEO Jodi Vleck has been named one of the country’s Top Wealth Advisor Moms by Working Mother Magazine and Shook Research. Of the 200 working mothers named top in their field, only two, including Vleck were from San Diego. Shook Research used service models, investing process, client retention, industry experience, review of compliance records, firm nominations, and quantitative criteria, such as assets under management and revenue generated for their firms in recognizing the top women wealth advisors who are mothers with at least one child living at home and under the age of 18. Vleck is a mother of two boys, who are currently 10 and 8. Women like Vleck are very important to driving females into the San Diego workforce and as role model to other women, especially those with children. San Diego has the lowest percentage of women in the workforce at 44 percent compared to 71 percent are women with children under 18 years of age according to the Department of Labor. Thirty-two percent of women in the nation have chosen financial advisory as a career, yet only 14 percent are heads of brokerages, like Vleck. Vleck, a Certified Financial Planner founded Beta Wealth Group in 2009, with a toddler and five months pregnant with her second child. She has been instrumental in establishing business development strategies, building the firm’s clientele, and reaching out to specialized professional segments, including technology, engineering and biotech executives. Today, Beta Wealth Group is one of the few independent, fee only firms in San Diego that specialize in serving these specific market segments. During the past nine years, her leadership and insights have resulted in incredible year-over-year revenue growth, with assets under management now eclipsing over $250 million, making Beta Wealth Group, one of the largest in San Diego. An incredible task, having started from zero and as a working mother. Vleck is an active mother on the boys’ school parent teacher association and is the title sponsor on one of the largest fundraising events of the year for the school. On Saturdays, you can find her cheering for her sons from the sidelines of their favorite sports. She also supports the boys education, helping the with their homework and special school projects, especially those that involve math and finance.